When the Larry Nassar scandal broke, it literally rocked the gymnastics world to the core. 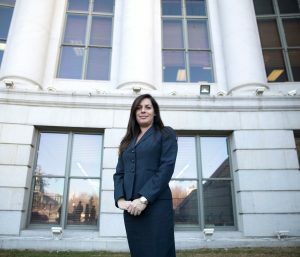 Three former elite American gymnasts were among the staggering 260 girls and women who claimed they had suffered sexual abuse at the hands of team doctor Larry Nassar. Nassar has since been sentenced to a minimum 140 years in prison after being tried in federal court and two Michigan courts. Maroney was the first of her Olympic Gold teammates to reveal she was abused by Nassar. Since her reveal, Gabrielle Douglas, Jordyn Wieberhave and Aly Raisman have also come forward to say they were abused by Nassar. Nassar was allowed by USA Gymnastics to accompany the gymnastics team to Olympic competitions, World Championships, and training sessions held in Houston, TX, at the Karolyi Ranch. Maroney submitted a written victim impact statement at Nassar’s sentencing hearing, while Raisman and Wieber appeared in person. Training sessions are no longer held at the Karolyi Ranch, however Raisman, Maroney and their teammates say the “culture” of ignoring complaints of sexual abuse needs to be changed. Maroney called out USA Gymnastics, Michigan State University and the U.S. Olympic Committee, all for failing to take any responsibility for Nassar’s abuse. Maroney claims the #MeToo movement gave her the courage to come forward about Nassar’s sexual abuse. Maroney also noted that it was her “duty” to come forward so future gymnasts would not have to deal with the repercussions of sexual abuse. If your child has been the victim of sexual assault by a gymnastics coach or team member, you have a right to seek justice. 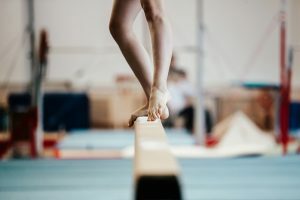 Our Denver gymnastics sexual abuse attorneys have extensive experience helping victims of sexual assault and abuse put their lives back together again. We believe in holding their attackers and the negligent institutions responsible for their crimes and for the damage they have inflicted. To learn more about your legal rights, contact the Gold Law Firm today for a free consultation at (303) 694-4653.